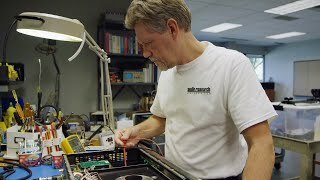 I’d long been curious about Accustic Arts, not only for the positive press they’ve received, but also for what I’d heard about the company from audiophile friends. 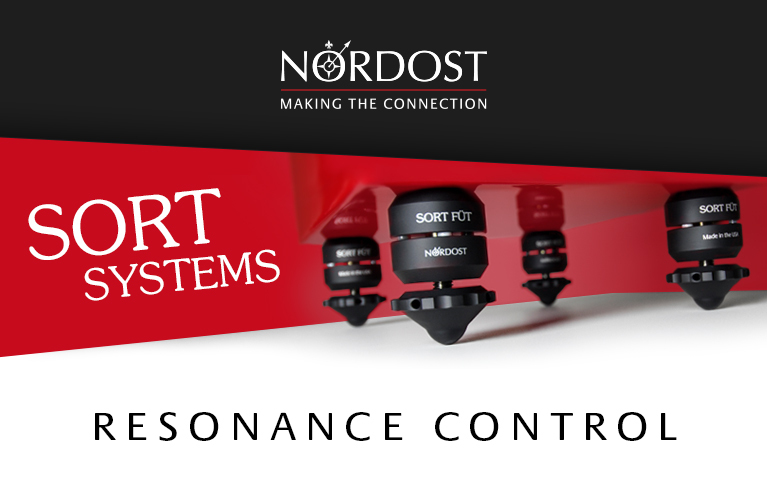 Given the quality of electronics coming out of Germany these days from such companies as ASR, Burmester, and Tidal, I was interested to see if Accustic Arts was up to that standard of performance. 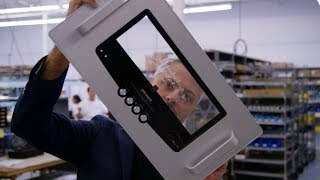 So when Jeff Fritz gave me the assignment of reviewing Accustic Arts’ combo of Reference Tube-DAC II SE D/A converter ($11,000 USD) and Reference Drive II CD transport ($12,000), I struggled to contain my enthusiasm. Now I would experience the Accustic Arts listening experience. When FedEx delivered the Reference Tube-DAC II SE and Drive II, I was a little annoyed that they left them sitting on their sides against my garage door. That’s not how they were meant to be delivered, but once I’d got them into my listening room, all was well. Both the DAC II and Drive II were double-boxed, and packed very carefully and securely. After checking that nothing was missing, I began setting them up. I was impressed with the build quality and finish of the DAC II and Drive II. Each had a stunning finish of brushed, silver-anodized aluminum that looked attractive in my equipment rack. Both were solidly constructed, and it seemed a lot of attention had been paid to the details: no sharp edges, the lines looked straight, and the layout of the controls and connectors seemed well thought out. The Drive II is 19"W x 5.1"H x 14.8"D and weighs 40 pounds. There’s a large, silver knob (with gold-plated silver contacts) a third of the way in from each end of the faceplate; the one on the left, labeled Skip, is for searching for tracks on a CD; the one on the right is a Standby/Operate toggle. Between them are two smaller pushbuttons, for Stop and Play, and between these is the display -- which, I felt, could have been a bit bigger. Below this are three status LEDs for Remote, On, and Standby status. On the left of the Drive II’s rear panel are three digital outputs, for XLR, RCA, and BNC cables; on the right are the IEC power inlet and the On/Off switch. Probably the most noteworthy external feature of the top-loading Drive II is its transport door, which slides back and forth on two silver rails whose tolerances are so close that the door glides far more smoothly than in some similar mechanisms I’ve used, whose doors’ action is more haphazard. Kudos to Accustic Arts for the design of this mechanism. 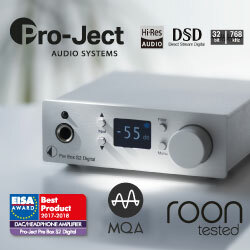 The disc transport itself is a Philips CD-Pro2LF, mechanically decoupled and, says AA, “embedded in a massive aluminum housing.” Other features of the Drive II include two large, premium-quality, magnetically shielded toroidal transformers, a power supply with a generous 61,000µF of capacitance, a polarity switch, and a magnetic CD clamp to ensure the ideal seating and smooth rotation of the disc. The Reference Tube-DAC II SE is almost identical in appearance, measures 19"W x 3.9"H x 14.8"D, weighs 26.4 pounds, and is built to the same exacting standards. As on the Drive II, and in the same positions, the DAC II’s front panel has two large knobs: the left is for input selection (1 through 3) and Mute, while the right is labeled Tube Stby/Tube On, for toggling between the standby and operating modes. The three status LEDs in the lower center of the faceplate are labeled Digital Error, Tube On/Warmup, and Tube Stby. On the rear panel are pairs of single-ended and XLR analog outputs, a single XLR and single-ended digital output, three digital input connectors on RCA, XLR, and BNC, an IEC inlet, and the On/Off switch. Inside the Tube-DAC II SE are two toroidal transformers, one 100VA and one 50VA, and an 84,000µF power supply. 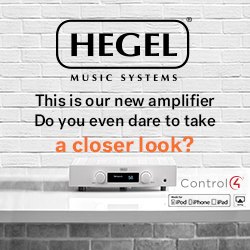 The Tube-DAC II uses one DAC chip per channel, and, according to AA, achieves 32-bit resolution by means of “8-times oversampling.” That signal is then “scanned parallel, thus exactly simultaneously, by the means of the integrated 26 multiplying processors. From these 26 single values the processors then compute an absolutely precise digital signal with the resolution of true 32 bit by the usage of the so called mean value method.” Because the Tube-DAC II SE accommodates digital signals with sampling rates of only up to 48kHz, it is not suitable for 24/96 files played from a computer. The DAC II’s tube complement is a single matched pair of high-quality, military-grade, unmarked 12AX7s. This tube had no visible markings, but the manufacturer stated that it is made by JJ Tesla of Europe and is the military version of the ECC83. 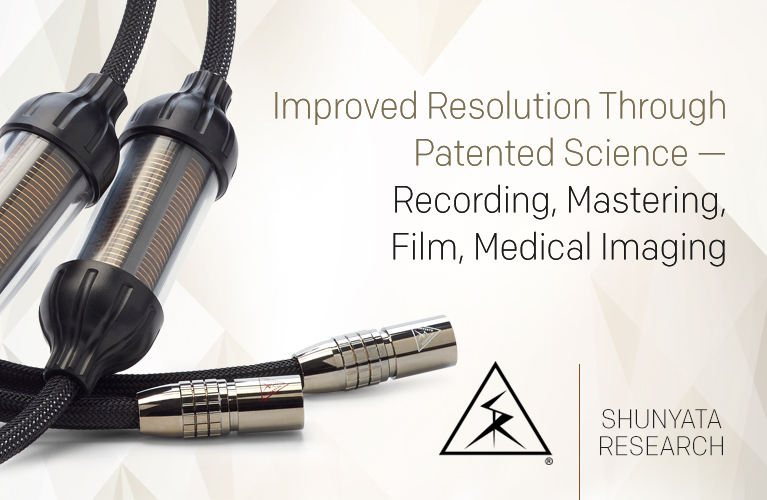 The tubes are reportedly matched to very tight tolerances for each and every Tube DAC-II SE produced. When I first installed the Drive II, it wouldn’t play any of my CDs. I received first-rate customer service from Zed Husain of Musical Sounds, who walked me through a simple five-minute process of replacing the “read switch” on the right side of the transport compartment. Once that was done, the transport read every disc I asked it to. Other than that, I experienced no operational glitches or problems. Both Accustic Arts components were easy to use; I don’t recall ever having to refer to either owner’s manual. The system I used to evaluate the Accustic Arts Reference components consists of an Esoteric DV-50S universal disc player resting on Audiostone spikes. Preamps used were a Klyne 7LX3.5B with built-in phono stage, a Herron VTSP-3, and an Audio Valve Eklipse, these feeding XLH M2000 monoblocks and a Mactone MH-300B stereo amp. My reference speakers are the Meadowlark Heron i. All cables and interconnects were from Dynamic Design: Lotus speaker cables, and Lotus Mk.2 interconnects from preamp to amp. At first I used Argento Level power cords, but soon switched to Dynamic Design’s Lotus and Spirit Digital cords, which gave me better focus and more extension at the frequency extremes, while tightening up a little bit of midbass emphasis I was hearing. 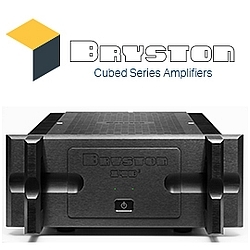 Dynamic Design’s new 10th Anniversary Nebula digital and THB analog interconnects were used between transport and DAC and DAC and preamps, respectively. Olufemi Sonuga, chief designer for Dynamic Design, also loaned me the new Spirit Digital Mk.2 and 10th Anniversary VLT Nebula Digital power cords. When I swapped out the old Spirit Digital cords for the Mk.2s, the Accustic Arts’ performance went to another level -- and they were already sounding special. Power conditioners were an IsoClean 60A3 and a Dynamic Design prototype. All equipment resided on a Celeste Reference stand from Epiphany Stand Systems. It would be all too easy to get caught up in the look and feel of the Accustic Arts Reference gear. Both look like something special, but that would mean nothing if they didn’t sound special. 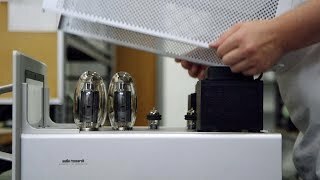 My remarks concerning the sonic performance of the Tube-DAC II SE and Drive II concern the quality of their sound when used together. There’s something to be said for the symbiotic relationship of tubes and digital devices. Not every company that has tried to meld tubes with digital has done a very good job, but in this instance Accustic Arts got it right. I have grown to like listening to CDs because the technology has come a long way, and they’re convenient to use. Still, after a couple of hours of listening to them I find myself ready to start spinning vinyl. The DAC II SE and Drive II allowed me to have extended listening enjoyment without developing the desire to switch to LPs. The sound of the Reference combo was smooth and musical, even lyrical. Music sounded fully fleshed out and natural, but not at all tubey. The tonal colors of instruments such as the trumpet and saxophone came across as vibrant and rich. Timbres were honest; I could easily distinguish the soft, sweet sound of Stan Getz’s tenor saxophone from the loud, piercing sound of David “Fathead” Newman’s tenor. The attack and decay of piano notes was truly resonant. Orchestral strings released notes that hung in air and slowly evaporated, while bass instruments sounded deep, full, and sonorous. With the Tube-DAC II SE and Drive II in my system, the soundstage exceeded the width of my room and extended beyond my front wall. The entire front end of my listening room seemed to be at the center of the stage, with music emanating from extended boundaries. 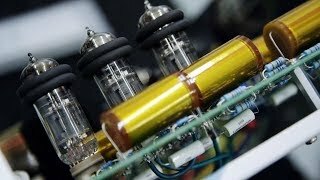 The Tube-DAC II SE and Drive II reproduced transients naturally; they sounded neither etched nor soft, but had speed and detail. Bass performance was deep and full without being overripe or bloated. Early in my listening sessions I occasionally wished for tighter bass, and sometimes a bit more bite and detail, but inserting the new Dynamic Design power cords banished any doubts I might have had about the Accustic Arts’ capabilities in those areas. Guitarist Danny Caron’s Good Hands (CD, Danny Caron Music 41994) is one of those albums on which a lot is going on, especially in Caron’s guitar playing and Jimmy Pugh’s soulful, bluesy, funky Hammond B-3 organ. Caron’s guitar work reminded me of the Saturday-night card parties my parents used to have; but what caught my attention was its tone through the Accustic Arts products: not dark and soft like, say, Pat Metheny’s, but lively and energetic, which the AA combo perfectly captured. For me, Pugh’s B-3 drives the entire album, but especially “Shaggin’” and “Rainy Night in Georgia” -- but what’s even more enjoyable about these tracks are their arrangements. When I played the Bob James Trio’s Take It from the Top (CD, Koch 9519), the Tube-DAC II SE and Drive II gave me a greater appreciation of James’ virtuosity. I could clearly hear more of the subtle nuances in his playing that aren’t so apparent through my Esoteric DV-50S. The sound was warm and intimate; I felt as if the trio was giving a private performance for me. “Soul Eyes” has a definite club type of sound, without all of the background noise you’d hear in an actual club -- a characteristic the AAs easily conveyed. One of my favorite reference discs is Joel Grare’s Paris Istanbul Shanghai (CD, Alpha Productions 523), a complex conglomeration of Eastern- and Western-influenced music. “Nihavent” has a heavy Asian feel, with Guo Gan playing the erhu, or “two-stringed barbarian instrument,” as it was called when first introduced to China from Central Asia. Like the mythical dragons of lore, the notes seemed to float in air, only to disappear, and be followed by another note even grander. This track let me hear how wonderfully the Tube-DAC II SE and Drive II could convey nuances and timbres, but what was now even more compelling was the richness of the tonal colors the Accustic Arts elicited from this interesting instrument. I also enjoyed listening to Stravinsky’s The Rite of Spring, with Lorin Maazel conducting the Cleveland Orchestra (CD, Telarc CD-60563). The Tube-DAC II SE and Drive II seemed to reproduce all of the air and ambience of the recording venue -- as if someone had opened a door and my listening room was suddenly much bigger. The dynamic range and power in the low bass allowed my room to be pressurized more than once, which drew wide grins from bass-loving me. Even as the strings played in unison and seemed to reach up to the heavens, I could pick out an individual violinist or cellist. 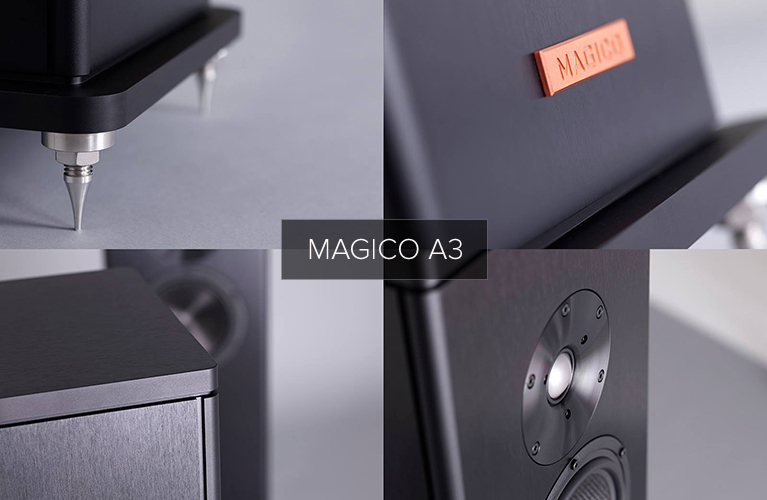 The Tube-DAC II SE and Drive II did an exemplary job of reproducing macro- and microdynamics that made it easier to follow individual musical lines. Overall, Accustic Arts’ Reference Tube-DAC II SE and Drive II outperformed my Esoteric DV-50S player ($6000, discontinued). This no doubt had a lot to do with the tube performance of the DAC. The DV-50S was heavier in the bass, but the Accustic Arts combo was tighter and more detailed in that region. The AAs had more air in the upper frequencies, and more sparkle in the brass, though not by much. In terms of instrumental timbres and tonality, the Accustic Arts clearly excelled. The DV-50S is no slouch here, but the DAC II SE and Drive II were better. Interestingly enough, when I used the DV-50S as the transport in place of the Drive II, there wasn’t much of a dropoff in the DAC II’s performance. I’m not saying that the DV-50S is the equal of the Drive II; rather, this is a testament to the quality of the transport used in the DV-50S. The differences in sound between the Accustic Arts combo and the DAC II with Esoteric DV-50S were slight, but I give a slight nod to the Drive II for having greater refinement, if by only the narrowest margin. I also spent a week using the Accustic Arts with another Esoteric player I was sure would issue a formidable challenge: the DV-60 ($5600), with which I’d spent a lot of time in the past. The DV-60 is newer than my DV-50S, and presents a lot of detail, extended frequency extremes, wonderful dynamics, and tonal accuracy. As it had with the DV-50S, the magic wrought by the tubed AA DAC won the day. Right away, I could hear the timbral balance, the accurate rendering and realness of the instruments, and the sense of life that the Tube-DAC II SE and Drive II brought to every disc I played. The Accustic Arts Reference Tube-DAC II SE and Reference Drive II are easy to recommend to anyone who can afford this level of performance and has a large CD collection. As a pair, they’re right up there with the best I’ve heard. If $23,000 for the two of them is too high, you couldn’t do much better than spend $11,000 on a Tube-DAC II SE alone. I’m sure you’d find interesting competition from the likes of EMM Labs, Weiss, Concert Fidelity, and other digital offerings of that ilk. Add the Tube-DAC II SE and Drive II to that list of stellar performers. Accustic Arts’ Reference Tube-DAC II SE and Drive II constitute one of the best DAC-transport combos I’ve had the pleasure of listening to in my home. They look stunning, and their build quality is outstanding, but most important, they performed simply gorgeously with music. In “Birds,” from Neil Young’s After the Gold Rush (CD, Reprise 517936), the applause at the beginning of the song was more prominent in the mix than I’d ever heard. In the massive expansiveness of the soundstage I could hear each clap distinctly, and almost make out each person in the audience. Young’s voice was simply vivid -- tonally correct, and jam-packed with low-level detail. On Jonas Hellborg’s The Silent Life (CD, Day Eight Music 26), the electric bass guitar was as lifelike in my room as I’ve heard, due to the (again) extremely vivid nature of the sound. The plucky sound of the strings displayed the AA’s crisp, lightning-like reproduction of transients. Hellborg was moved very slightly forward in the mix, giving me an up-close perspective of the artist in action. I could almost see the sweat on his brow as he played with great intensity and laser-like focus. “Tall Trees in Georgia,” from Eva Cassidy’s Live at Blues Alley (CD, Blix Street 10046), was as high-resolution as I’ve heard it. The tinkling of the glass at the beginning of the track was clear and distinct, and more prominent in the mix than I’d ever heard it. It was almost holographic. Overall, the Accustic Arts Reference Tube-DAC II SE is the most tonally vivid D/A converter I’ve ever heard. 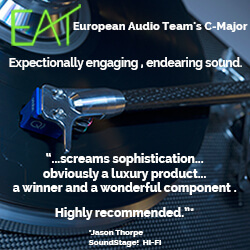 It presents an up-close sound that makes the best CD recordings sound ever so present -- physically nearer the listener. It produced a massive soundstage in my room that gave me great pleasure when I listened to live recordings. My only criticism has nothing to do with the sound: I’d like a USB or FireWire input and higher-rez support, and a readout or display that indicates the sample frequency. But perhaps the latter is useful only to reviewers. If you don’t need those things, and are firmly grounded in CD as your source, then there’s nothing to quibble about. You’ll love this DAC; I can almost assure it. Warranty (both): One year parts and labor (90 days for tubes).